Pure K9 premium optic crystal clock. 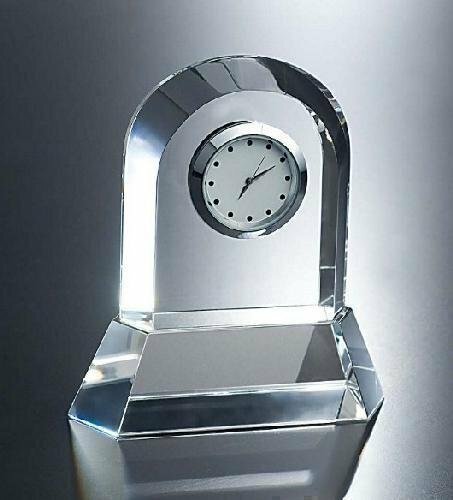 This domed shaped crystal clock sits on a base that offers plenty of engraving area for your special message.. A modern clock dial is included. Pure K9 premium optic crystal clock. 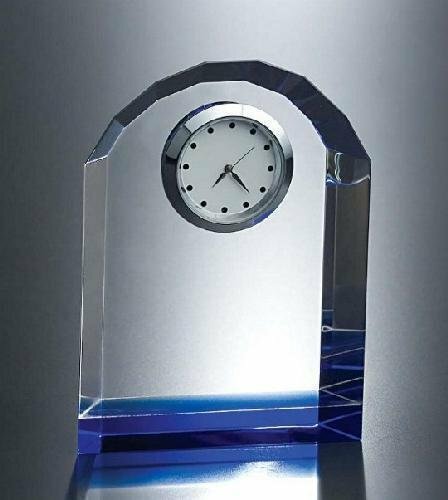 This domed shaped crystal clock is accented by a thin piece of blue crystal at the base. A modern clock dial is included. Pure K9 premium optic crystal clock. This domed shaped crystal clock is accented by a thin piece of green \n crystal at the base. A modern clock dial is included.